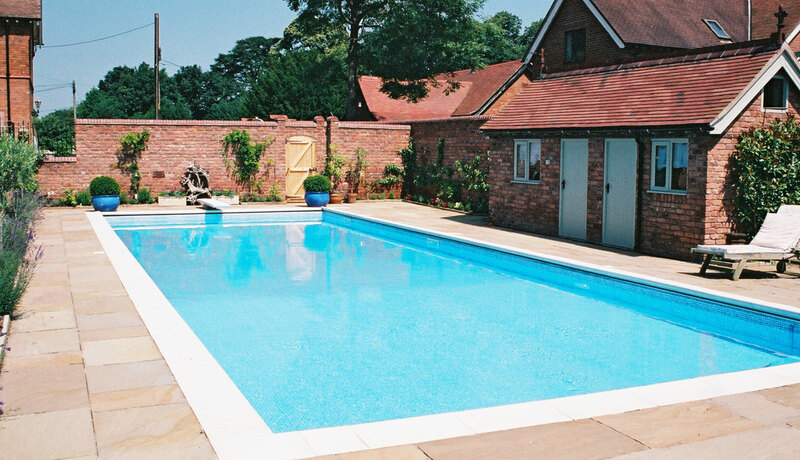 We are Shropshire's largest, and longest established swimming pool builder and spa supplier. 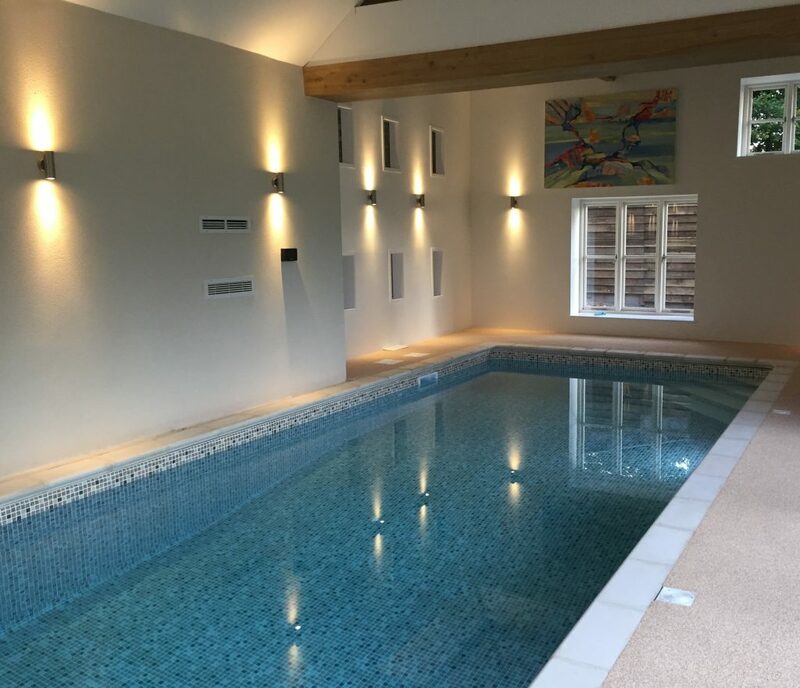 A stunning indoor pool built in a newly converted barn house located within Much Wenlock finished with a fast lane counter current. 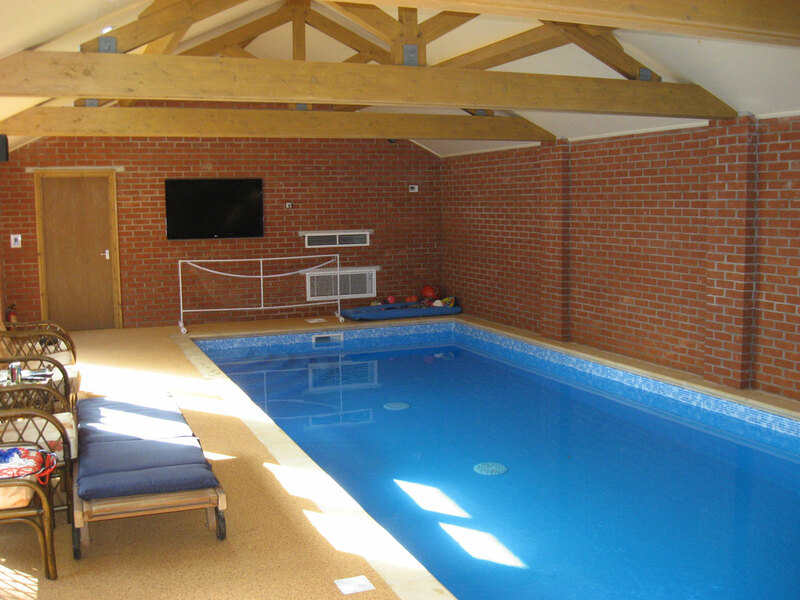 A new Endless Pool installed in 2017, including a mirror to assist with stroke improvement. 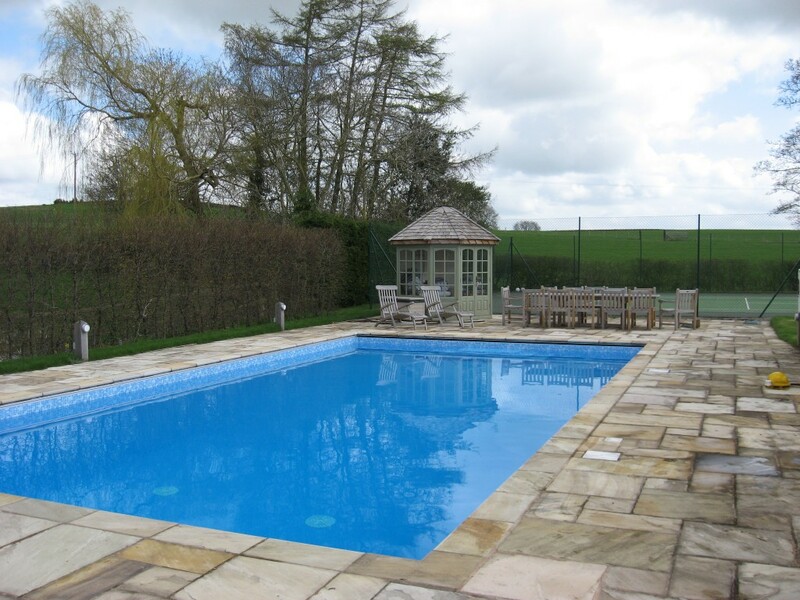 A semi commercial swimming pool built near Oswestry and completed in 2015. On-site liner, 6m x 11m x 1.2m constant depth. 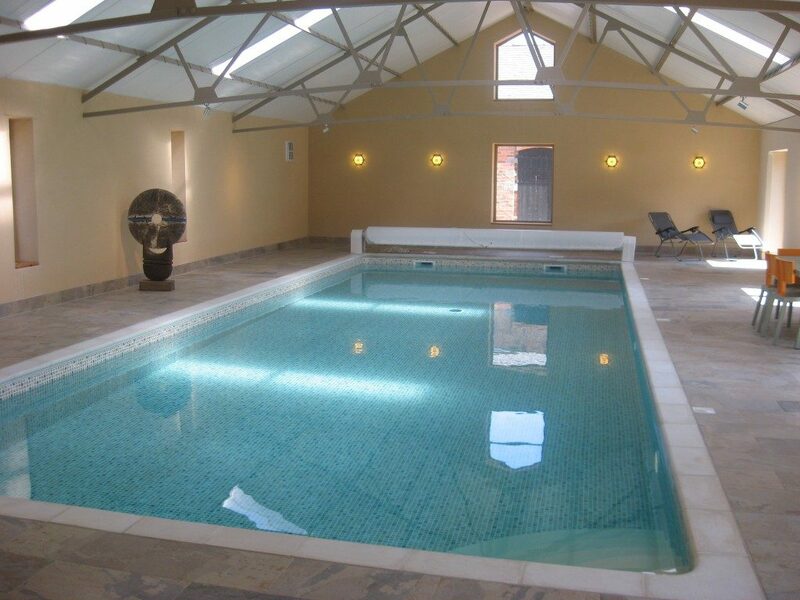 A stunning Indoor pool built near Market Drayton. Completed March 2015. 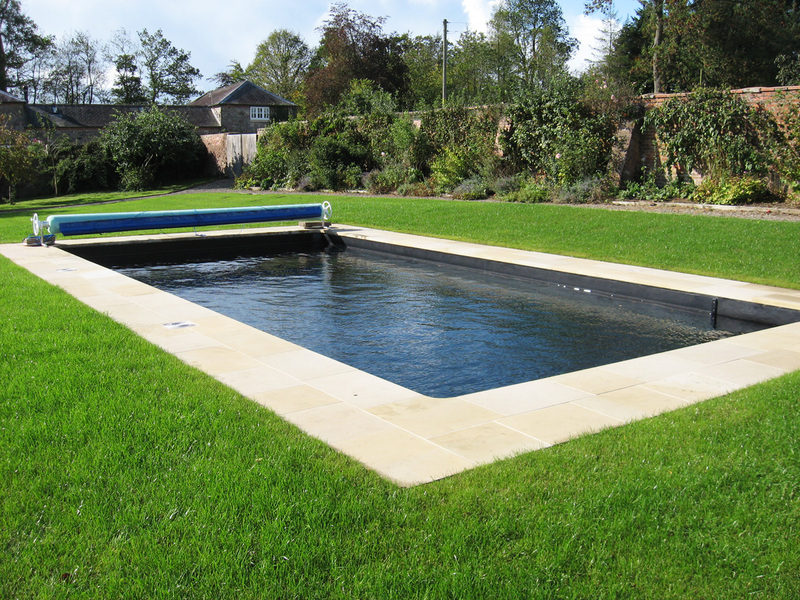 4.88m x 12.2m x 1.5m deep, with extreme on-site liner. 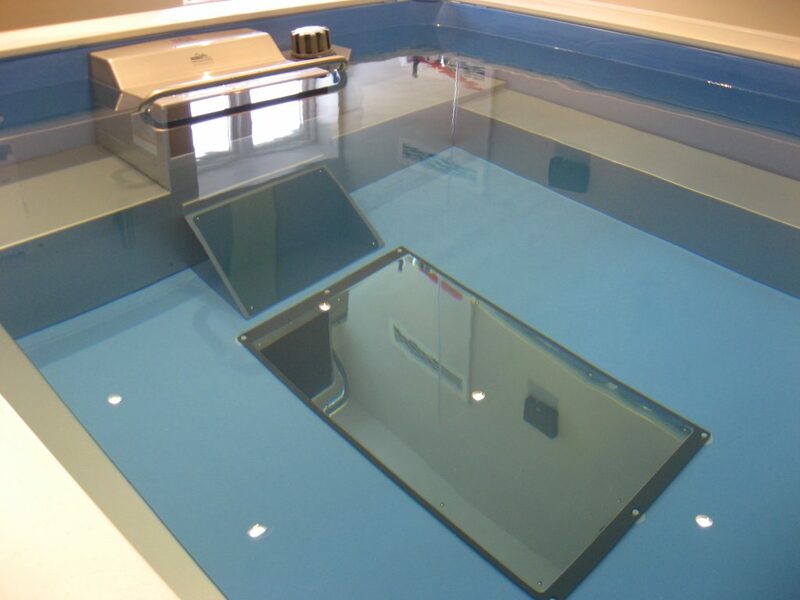 With Aquatronic automatic cover. 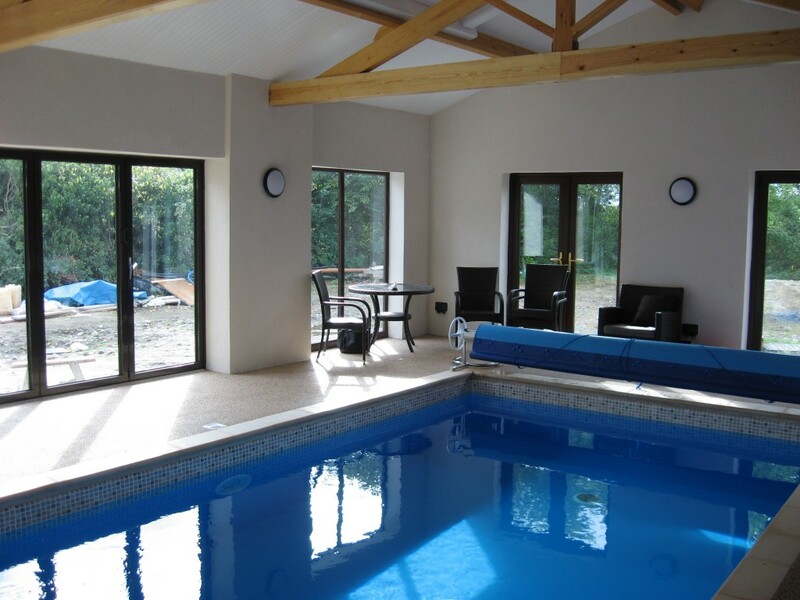 Indoor pool built near Craven Arms and completed January 2014. 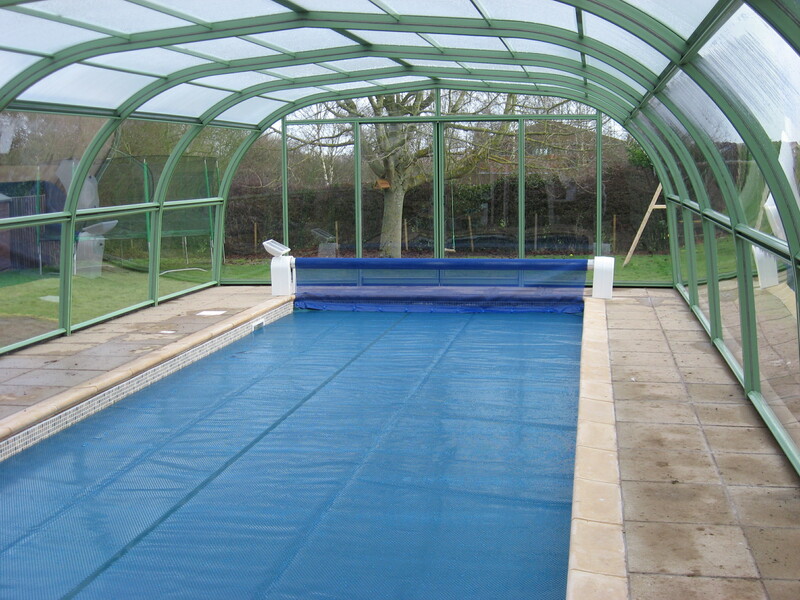 Pool size 8m x 4m x 1.62m deep with re-inforced on-site liner and venetian cover. 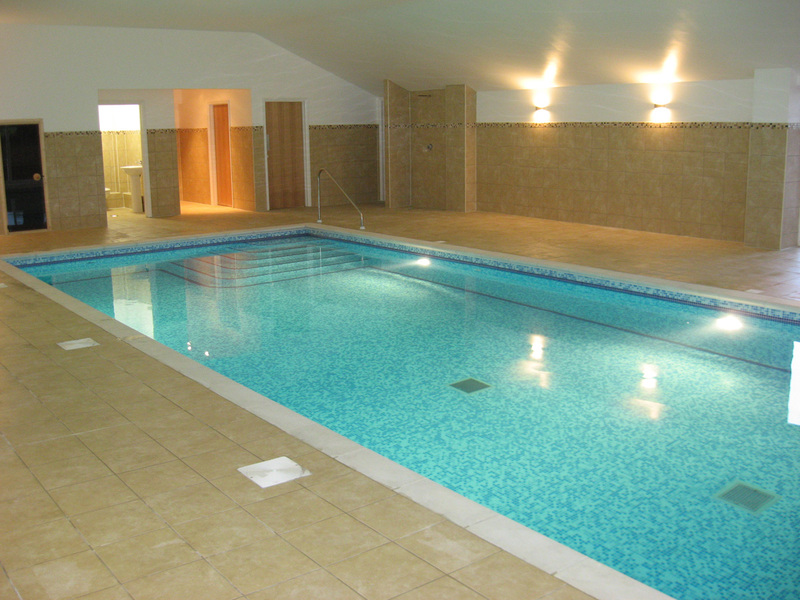 An indoor standard Endless pool, 9′ x 15′, built near Church Stretton and completed in 2011. 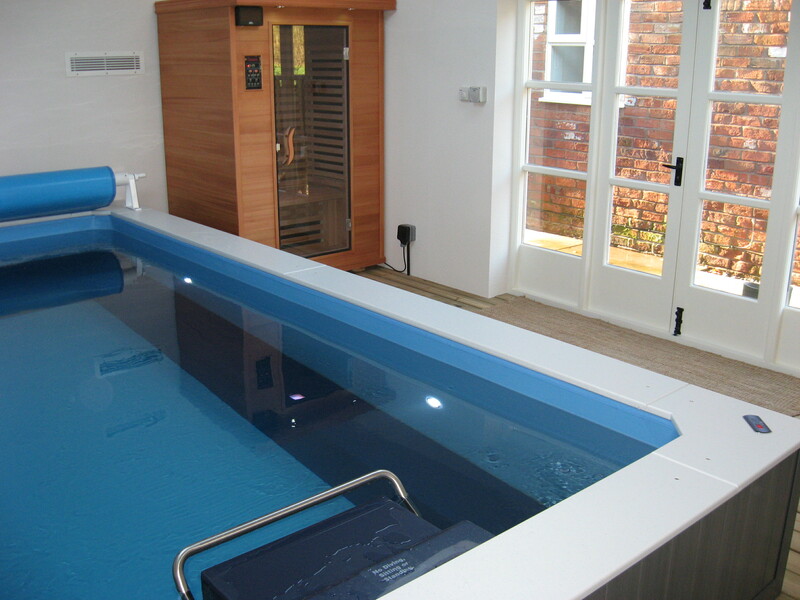 Also J315 Jacuzzi hot tub in Platinum/Driftwood with patented hydrotherapy jets. 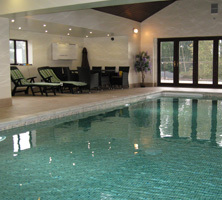 An indoor pool built near Weston Lullingfields and completed in 2013. 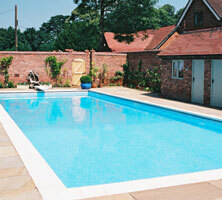 Pool size 6.5m x 3.5m x 1.45m with re-inforced on-site liner. 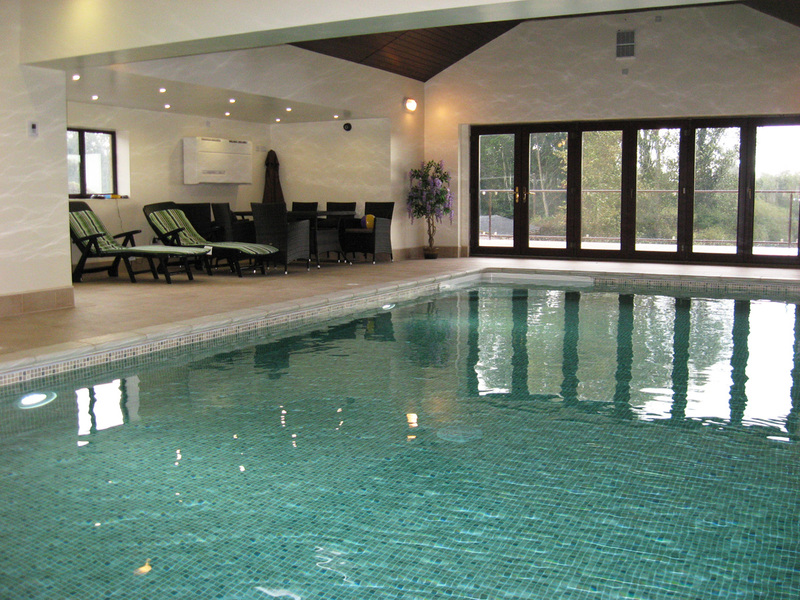 Indoor pool showing patented Fastlane counter current with 54 settings and bespoke hand rails for easy access. 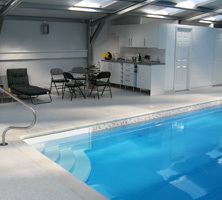 An indoor pool built on Kennedy Road, Shrewsbury, with a Dripool Autosafe Pool Cover. Completed in 2013, a contempory design enhanced with the use of a stretch ceiling to reflect light. An outdoor pool, using the outstanding views to enhance a professionally designed garden, near Craven Arms and completed in 2012. 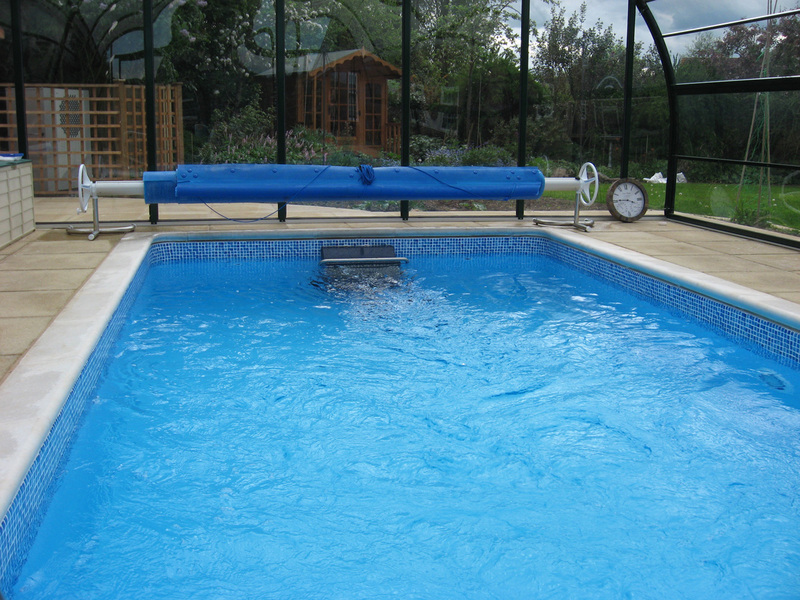 Pool size 18′ x 42′ with re-inforced liner and Dripool safety cover. 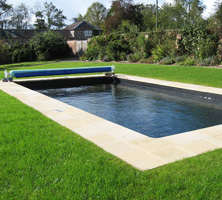 An outdoor pool at Marton, pool size 12m x 6m, completed in 2012. 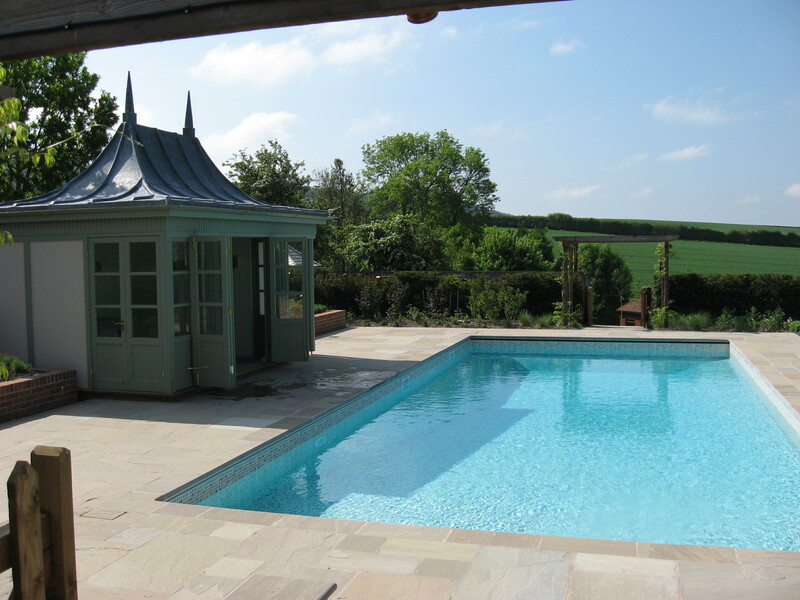 Pool has a re-inforced liner, built-in steps, underwater lights, Indian limestone copings and paving, and a Dripool Safety cover. 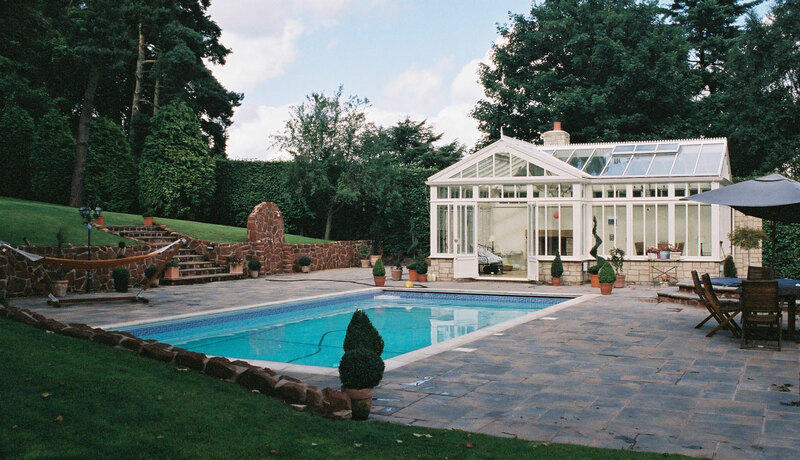 Beautiful liner pool, 4m x 10m x 5′ constant depth, set in a glazed Galaxy Enclosure with retractable sides for Summer ventilation. Completed in January 2013. 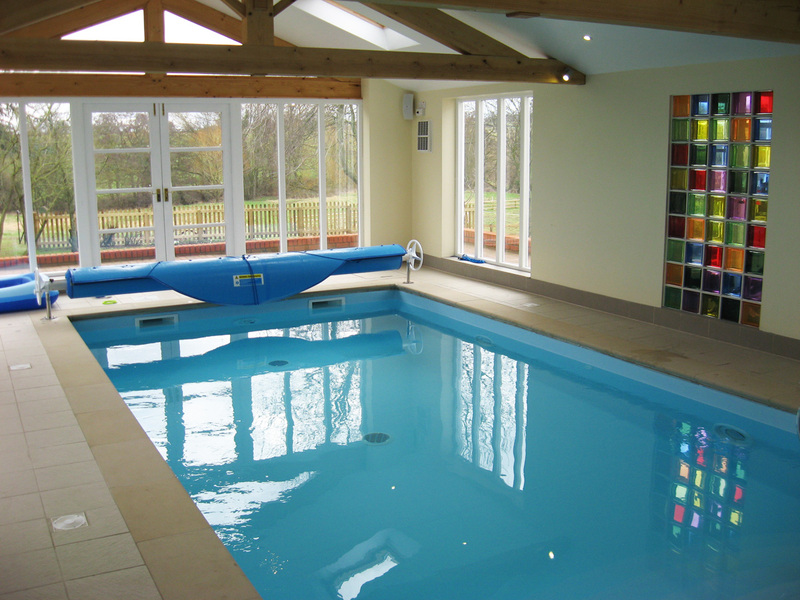 Our indoor demonstration Endless Pool built at Hadnall in 2013. 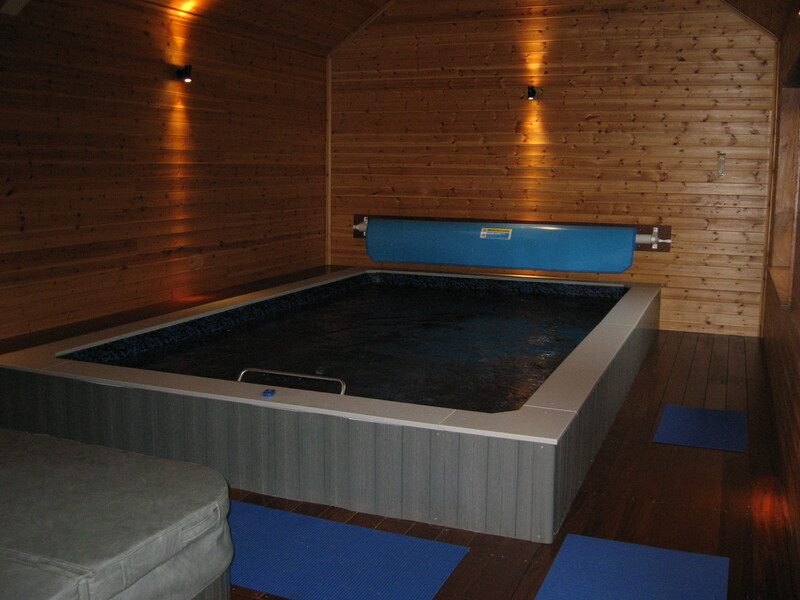 Together with infra-red Sauna from Plastica. 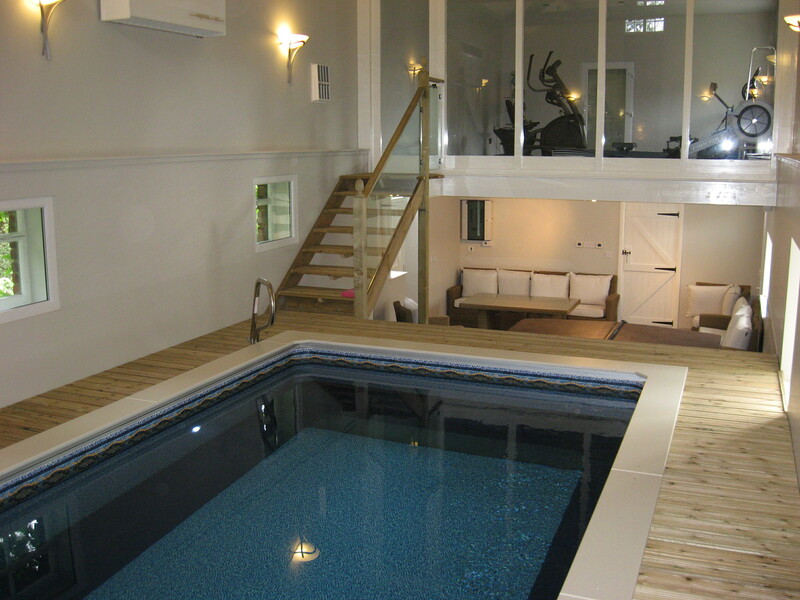 A superb demonstration of a small fitness suite comprising an Endless Pool. 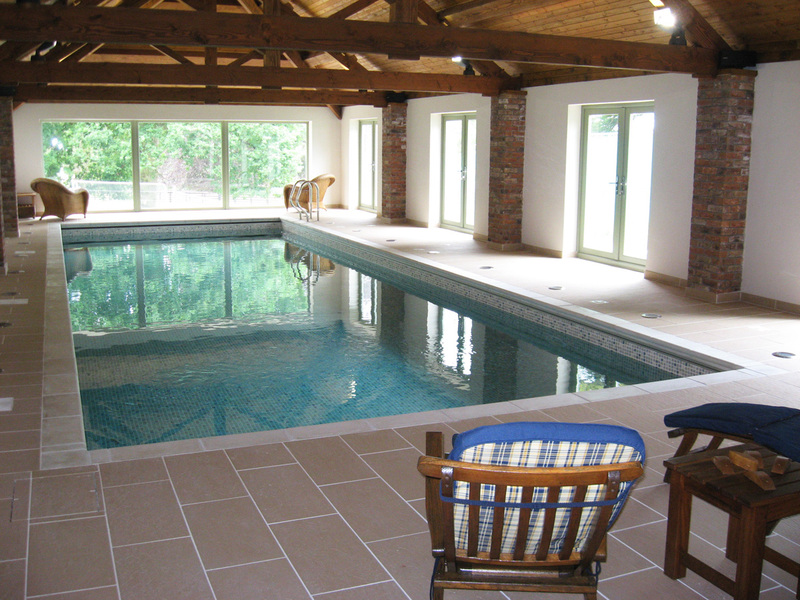 Built in 2013 at Tattenhall, Cheshire. 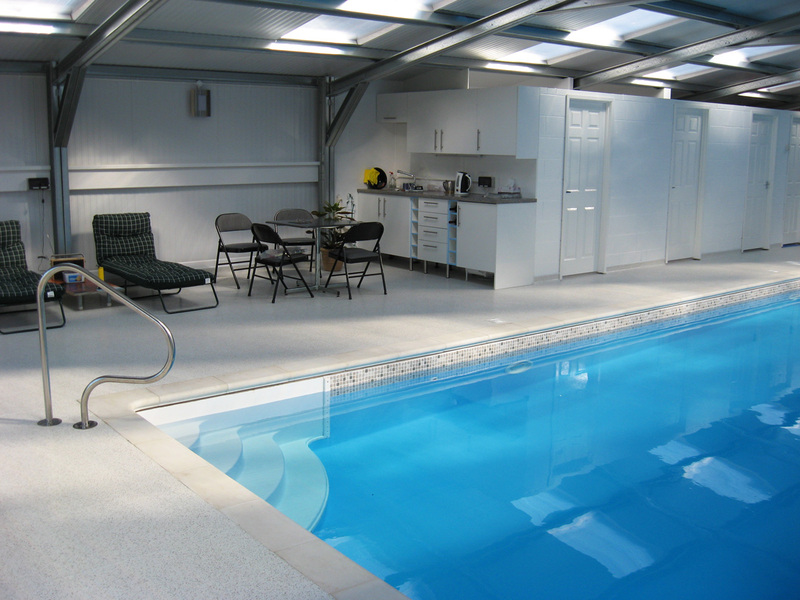 Built in 2005 near Market Drayton. 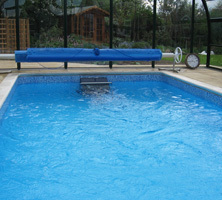 A marblelite with tileband swimming pool with automatic Dripool safety cover. Built in 2004 near Whitchurch. 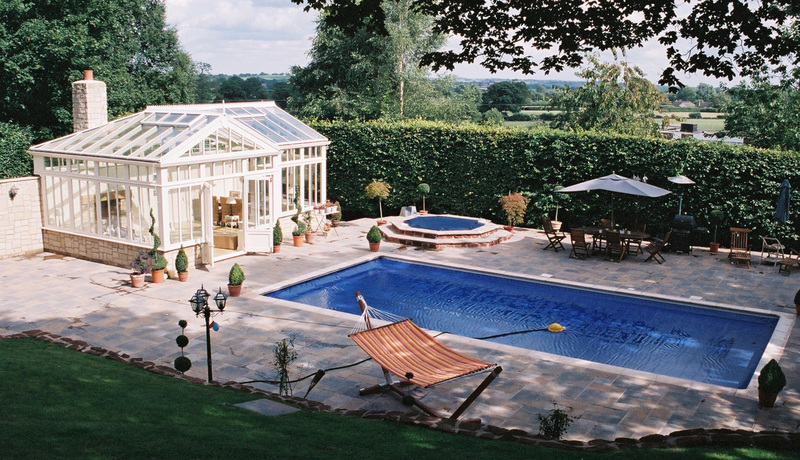 A fully patterned liner pool, 16m x 5.5m. 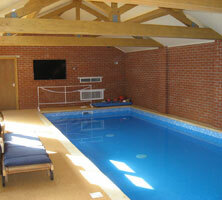 Built in 2011 near Oswestry, an indoor swimming pool 10m x 3.63m, with on-site liner and Venetian cover. 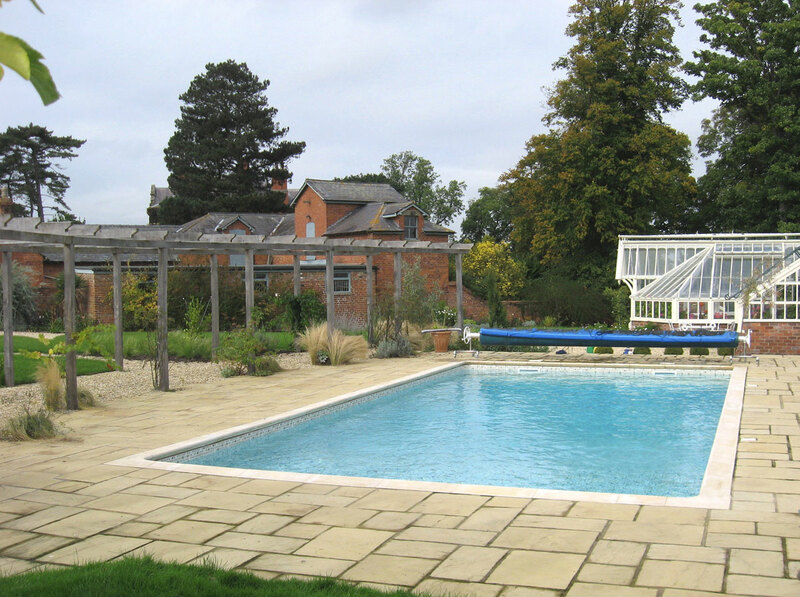 Built in 2006 near Ford, Shrewsbury, a 16’ x 32’ hopper shaped liner swimming pool with underwater lights and traditional solar cover and reel. 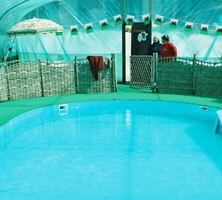 Built in 2004 in Caersws, Powys, a fibreglass bespoke canine hydrotherapy pool with special ramp facility. 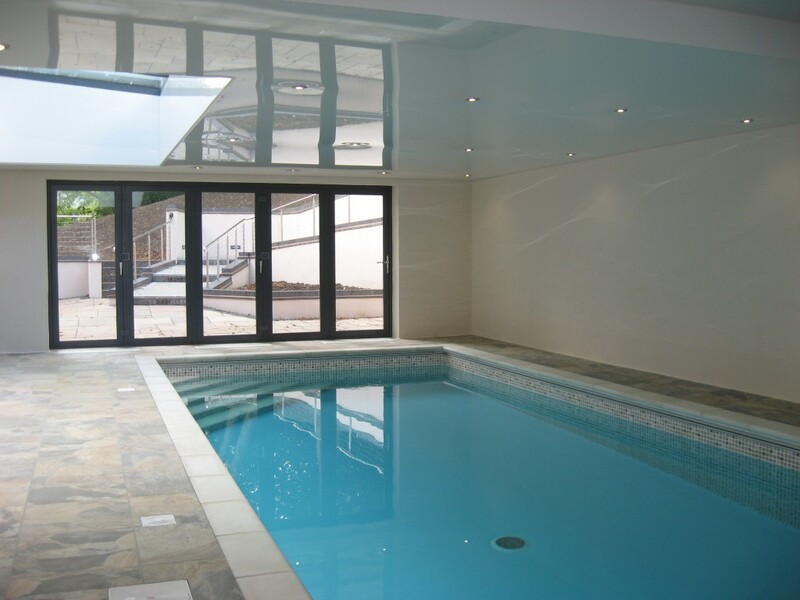 Built in 2009 in Shawbirch, Telford, a liner swimming pool, 3m x 6m, with Fastlane counter current system in a glazed enclosure with opening sides. 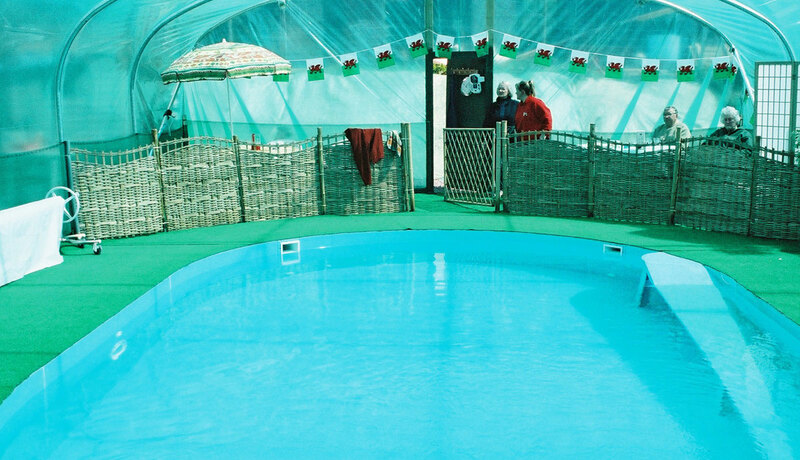 Built in 2011 near Welshpool, Powys, an on-site liner pool with Dripool automatic safety cover. 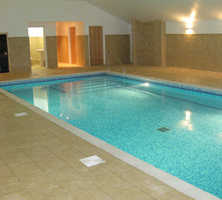 Built in 2009, hotel tiled pool near Ludlow with sauna. 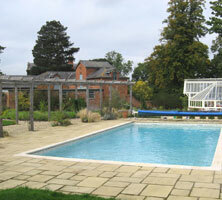 Built in 2011 near Oswestry, a 10m x 5m pool with black liner and steps and traditional solar reel and cover. 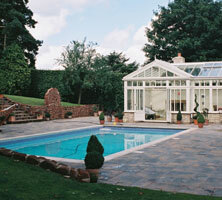 Built in 2011 near Oswestry, a fully patterned liner pool, 10m x 4.5m x 1.2m constant depth. 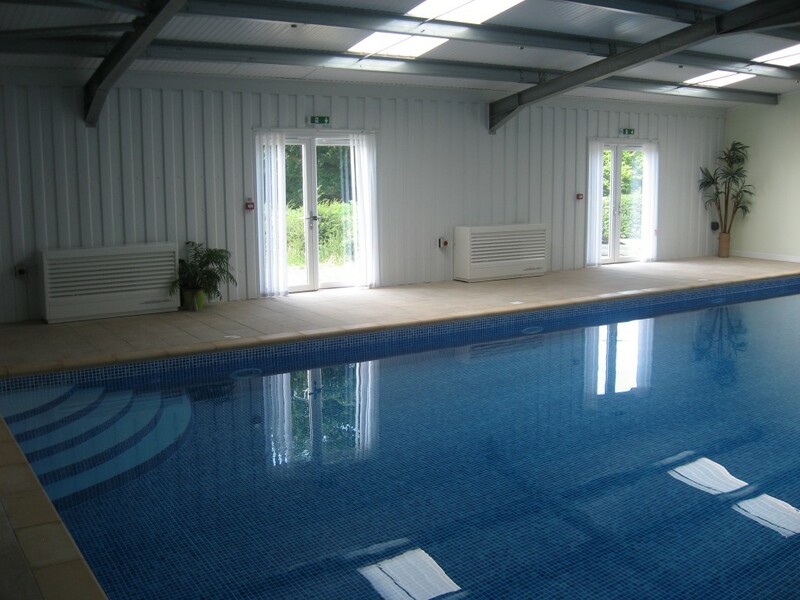 Built in 2011 near Ternhill, a liner pool, 12m x 5m x 1.2m, in insulated steel framed building. 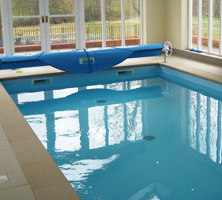 Built in 2011 near Condover, Shrewsbury, a hydrotherapy pool with on-site liner, 3.6m x 6.5m x 1.2m constant depth. 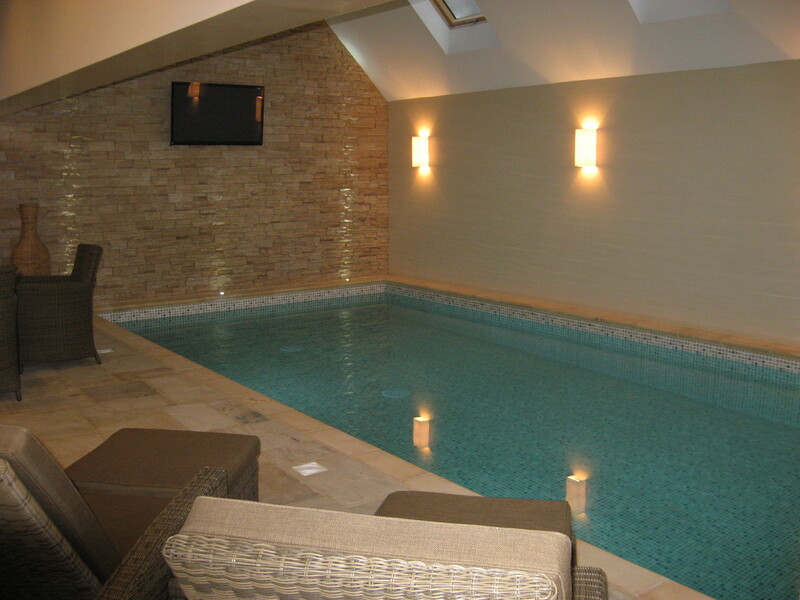 Mood lighting effect with 4 high density colour changing LED pool lights with remote control. 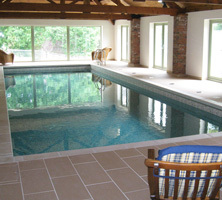 Built in 2005 near market Drayton. 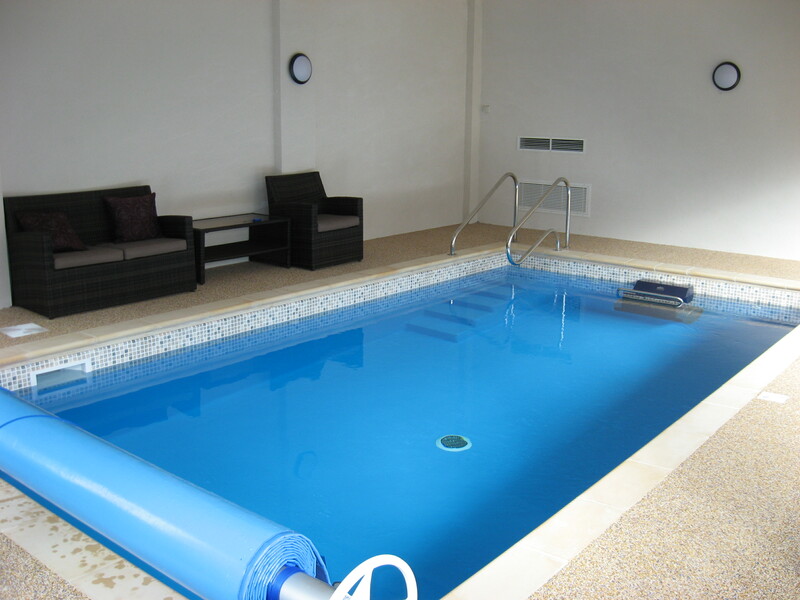 A marblelite with tileband swimming pool with automatic Dripool safety cover, and inground spa.